This Winter, your partner, friends or family members may be playing Netball or Football, you may even be enjoying a game yourself! We have had a look at the types of injuries that occur from taking part in each sport and how they can be avoided. Netball is one of the most popular team sports in Australia, with the highest number of females taking part in the sport compared to other team sports in the country. It’s a game that requires muscular stamina and speedy movements to out smart competitors. These include sudden changes in direction, jumping to catch or block a pass, or catch a rebound after a goal has been shot. Knee injuries can be the most serious and expensive, resulting in extended periods of time away from the game. Other injuries that can be sustained from playing Netball are sprains and strains, this excludes finger injuries that occur in the form of fractures or dislocations. Other injuries happen when participants fall over when playing the game, poor landing, exhaustion, being hit by the ball and running into other players on the Netball court. Add exercises to your fitness program that will build up your speed, strength and resilience, particularly to the muscles around your ankles and feet . Make an appointment to see your physiotherapist so that they diagnose any musculo-skeletal issues that could potentially develop into a Netball injury. Consult with your physio, doctor or trainer to develop a series of warm up and cool down stretches that can be done before and after the game. This will ensure that your body is ready to hit the court and is sufficiently cooled down after the game has finished. 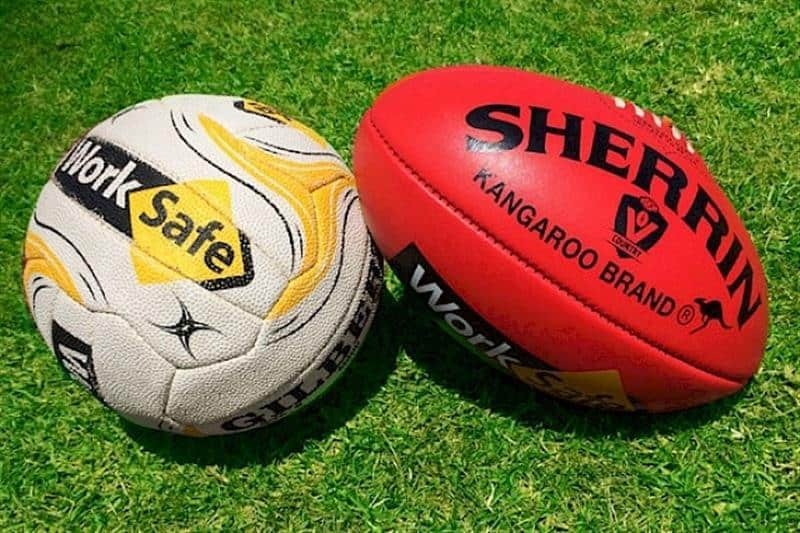 Australian rules football is a favourite sport amongst participants and those that follow the AFL in Australia. It’s a game that involves a large amount of physical contact, injuries are sustained due to players, running, tackling, kicking, marking and handballing. Players are constantly vying for the ball. Players often sustain injuries that are the result of running into another player, tackling, being struck by the ball or tumbling over. Damage to the lower leg, knee, thigh and ankle are the most frequent types of injuries that don’t require hospitalisation. More serious injuries requiring hospitalisation are sprains, strains or fractures to the wrist hands, shoulders, head, face, knee and the lower leg. Add exercises to your pre season fitness training program that include speed, endurance, resilience and balance. Your body will then be ready to deal with the challenges of the game. Master and practice the techniques of the game with your team-mates. Prior to competing, take part in a warm up routine that involves stretching your muscles, moderate jogging and running. When training and during the game, make sure that you drink lots of water. Make an appointment to see your physiotherapist, so that they can diagnose any musculo-skeletal issues that could potentially develop into a Football injury.